I’m thinking about, focusing on, and working on clearing and removing some of my old filters these days. 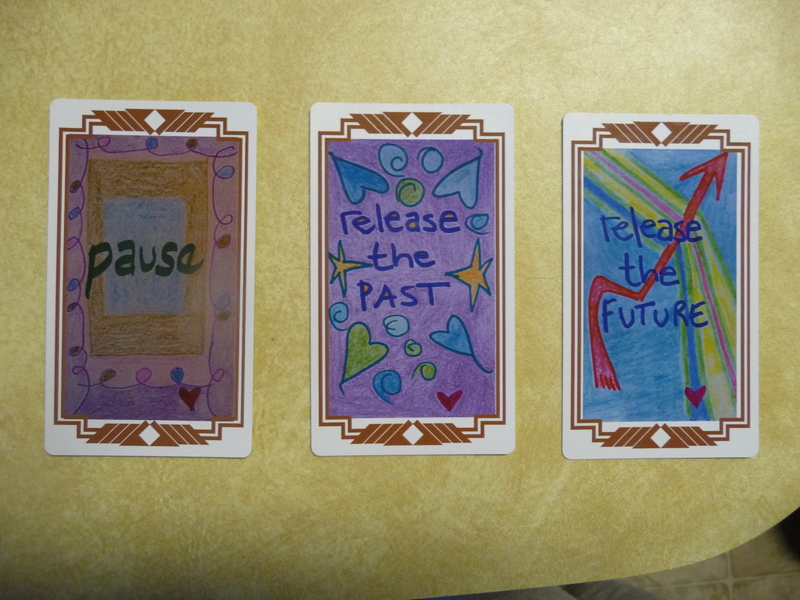 So I really laughed when these cards came up for your weekly Reading & Channeling. Because they are Talkin’ About The Filters all the way! This card spread is from the Energy Wisdom Oracle Cards by me (yes, this deck is available for purchase!). And it’s all about putting down some of our biggest, most dominant filters. Filters that prevent us from seeing what’s actually unfolding right here, and right now. I love the order that the cards came out in, too, because this is exactly how to do it. Get quiet, take a few breaths, get still. Then think about the issue you are grappling with. Keep breathing. Stay in PAUSE. And look for any filters from the past that you have overlaid on the situation. Filters run under the surface in our energy, like computer code. or you can think of them as transparencies through which you view the world, transparencies that are somewhere within your energy field warping the way you look out, and the way you see the things that are either coming in or attempting to come into your awareness. We create these filters from our experiences, our conditioning and training, our emotions, from the time we are small. They are energies in our vibration. To see clearly in the now, we often need to Release The Past filters, to undo a line of code, to remove or pull a transparency out of our energy field, to let what is done be done, and to see if we can’t look at today with totally fresh eyes and thru less filters. And then you need to PAUSE again. Check in with your breath. Relax, exhale with an audible sigh, stretch your toes. And, still focused on the situation at hand, RELEASE THE FUTURE. What forward expectations, wishes, future projections or projected fears, all of which are filters, are you viewing this situation through that keep you from seeing it as it actually is right here and right now? For me, a big one is always: “well, they did this before so I’m going to assume (project forward) that they’ll do it again.” Even if the first instance happened 20 years ago, this is my default filter, my transparency around the future! I need to put this one down over and over again. The angels want me to assure you that this is doable, and that you’ll be so much happier when you start realizing these filters are always popping into the now and warping your vision and your intake. It’s part of being human. And they can be released. The angels say that once you understand this, you simply need to pause, breathe, become aware, and be willing to release the filters you find, and you will be able to start letting them go. Your vision will become clearer and more accurate. And life will shift for the better when you do, dear ones, they say. Give it a whirl, they say. And feel free to call upon us to help you with this, they say. Archangel Gabriel is particularly interested in being called upon for this, as are your guardian angels, I hear.